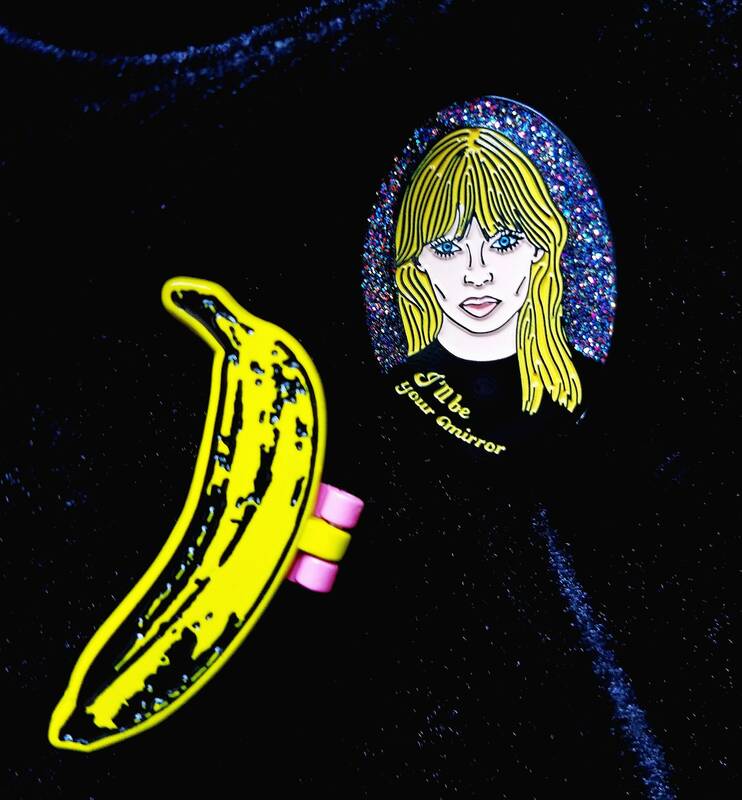 Banana pin is soft enamel 1.5" long and hinges open to reveal the pink banana underneath. Just like the Warhol cover art for Velvet's first album. 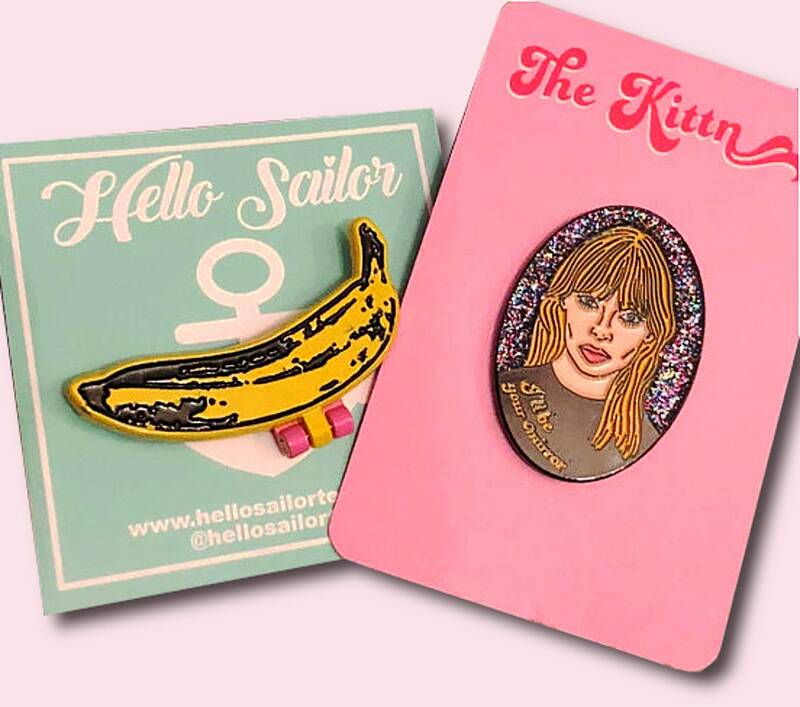 Nico pin was designed by TheKittn and is the perfect addition! 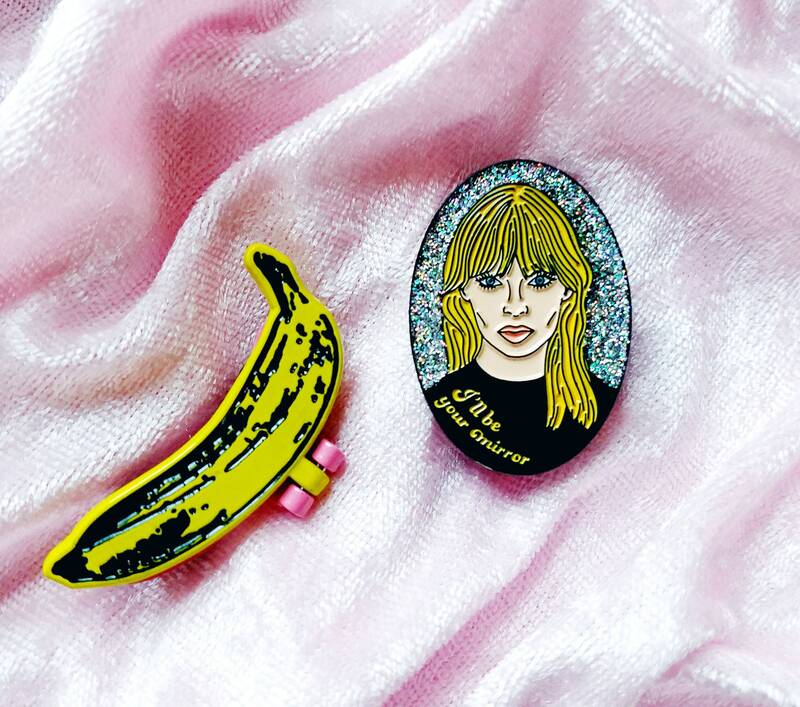 1.25" soft enamel with glitter.